​On Tuesday 11th of March 2014, Brig. 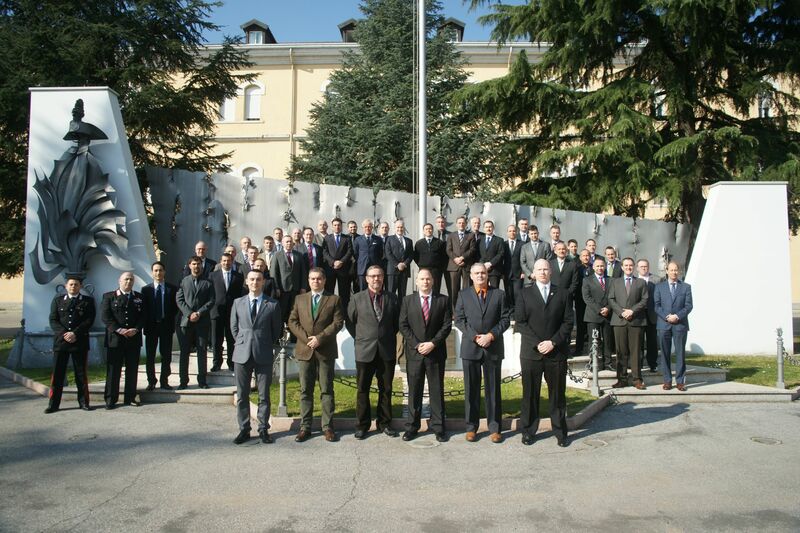 Gen. Paolo Nardone - the Director of the CoESPU welcomed 48 high-ranking representatives from the total of 19 NATO and Partner countries at the three-day Military Police Panel meeting (MPP) which was held at the Lt. Gen. Chinotto Compound in Vicenza. 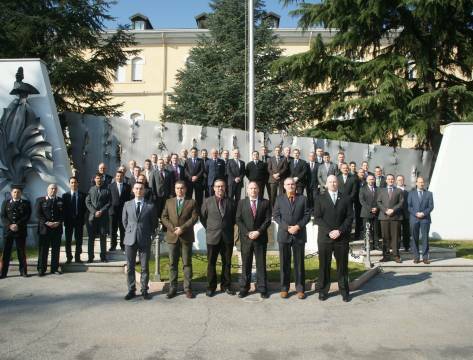 Among the participants, there were four members of the NATO Military Police Centre of Excellence led by its Director – Col. Grzegorz WASIELEWSKI. The agenda of this meeting consisted of current and emerging challenges including the development of the Stability Policing Centre of Excellence, the NATO MP Future Capabilities, the Security Force Assistance Concept and the recent NATO MP Standardization activities. The significant part of the Military Police Panel sessions was devoted to the presentation on the NATO MP COE Education and Training (E&T) and Lessons Learned (LL) ongoing and future activities, as well as the NATO MP COE support for the NATO and national transformation efforts. Participants expressed a great interest in the NATO MP COE Lessons Learned projects and activities, especially in LL Portal, Working Group Concept and LL Conference. Presentation and discussion related to the 1st Provost Marshal Conference (which is going to be held on May 2014 in Bydgoszcz) was also positively received due to the fact that it is perceived as a unique platform for sharing information and experiences. The Military Police Program scheduled for 2014 and 2015 and the final Record of Decisions clearly reflected a flourishing cooperation between Nations and involved MP organizations. 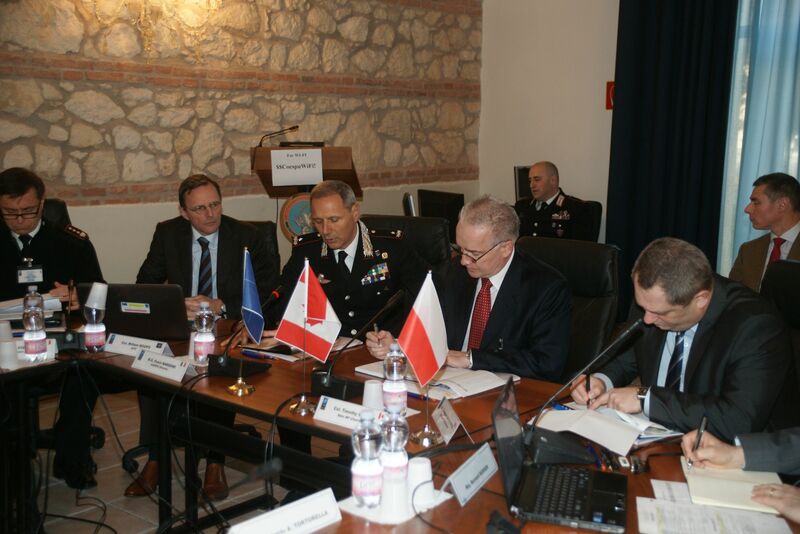 In his final conclusions, Col. Timothy GRUBB - the Military Police Panel Chairman advised the MPP members to be aware of the NATO Exercise and Training opportunities as well as of a development process for Requirement Authority and Department Head for Education and Training to be considered within the NATO MP COE POW. 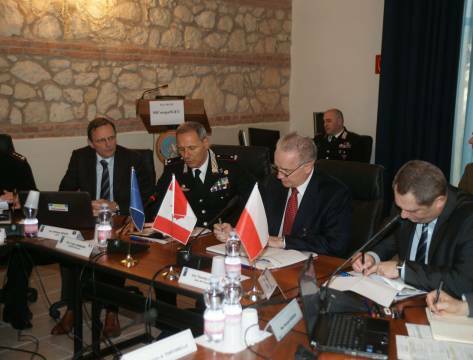 Furthermore, he indicated taking advantage of an opportunity of the NATO MP COE capabilities, including expertise to support the readiness and interoperability of NATO Military Police.